12 days Bush, Beach and Islands, visit the Qurimbas NP both the Marine as well as the bush part of it and end on the magnificent Island of Mozambique a UNESCO Heritage Site. An early departure for a long drive to Quirimbas NP an overnight in an exceptional bush camp, Taratibu (meaning to go slowly and carefully) nestles between three soaring inselbergs within the boundaries of the Quirimbas National Park . Huge rain-forest trees shelter a great diversity of bird life and various primate species. Bush walks meander through untouched wilderness to swimming spots, breathtaking viewpoints and a dramatic rope swing over a dammed pool. Trek elephant with a guide or simply enjoy walks in this most extraordinary bush. Currently the Camp has two en-suite bungalows. The camp is well set up with kitchen facilities and generator at night. We travel to the north ( in around 3 hours ) through pristine bush to the coastal villages of Quissanga and Tanganyanga. Here we board traditional dhows, at high tide, for Ibo Island. Explore an ancient island where Muslim traders operated in the 15th Century, before it became a major slave market and trading post for the Portuguese in the 18th Century. Historic buildings, 3 forts and a beautiful old Catholic church still remain. Ibo provides a chance to interact with the amazing rural people and exchange cultural differences. Traditional silversmiths still operate from the main fort, and you are free to wander about this beautiful island and explore. Optional crab and fishing expeditions, Mangrove excursions, snorkelling, swimming and historical dhow cruises. We will explore by traditional Arab dhow one of the beautiful surrounding local islands. Travelling through the mangroves we will step back in time and observe a way of life that has not changed for thousands of years. Local fishermen catch prawns and giant crabs in these mangroves. Brilliant bird life abounds with storks, egrets and herons roosting in the mangrove trees. Excellent snorkelling opportunities, great beaches and a change to travel and explore the remote coral coast surrounding Ibo. Guludo; a tropical, barefoot paradise, on a deserted, powder white beach. Lapping turquoise waters, rustling palms and a sultry sun guarantee complete tranquility. Guludo has a rustic exclusivity with spacious, beach-front bandas and an intimate feel with character filled service and an exotic, fresh seafood-based cuisine. All our bandas have been designed by award-winning architects Cullum & Nightingale who have ingeniously blended luxury with a mix traditional and contemporary styles and with the highest of environmental and social integrity. Each of our bandas over look Guludo’s beautiful beach and enable you to watch the sun spectacularly rise over neighbouring Rolas Island through bleary eyes from the comfort of your own, extravagant king-sized bed. Only the occasional monkey playing in your hammock can disturb the peace! Day 9 – 11 Ilha de Mozambique, Escondindinho, on Bed and Breakfast basis. 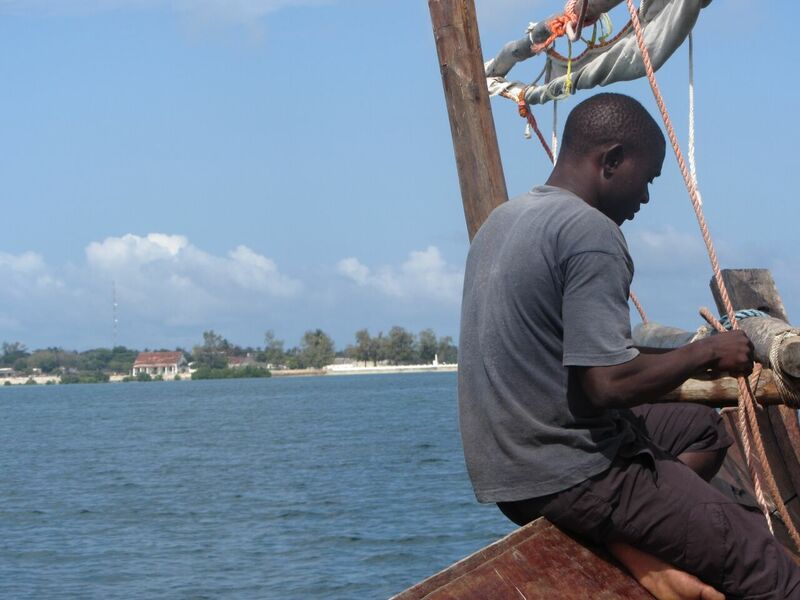 From Pemba it will take a 6 hours to reach Ilha de Mocambique.. Packed lunch en route. Ilha de Mozambique is practically a living museum, for this tiny town exhibits the many influences that have moulded Mozambique. The decaying grandeur of its architecture has prompted the United Nations to declare the Northern half of the island a World Heritage Site. Apart from the natural beauty just a few steps away from your hotel, you will find masterpieces from different civilizations. Since the beginning of time the good wind brought distant people to the Mozambique Island. Anyone that passed there has had a warm welcome. The first to arrive were the Arabs, then came the sailors from India, Europe and even China. Nowadays you don’t depend on the wind to visit the Island, you know it exists, that it is exuberant and very friendly. All this to be experienced by you at the Omuhipiti Hotel. Escondindinho is a charming Portuguese Poussada fully renovated with ensuite facilities and a separate good restaurant. 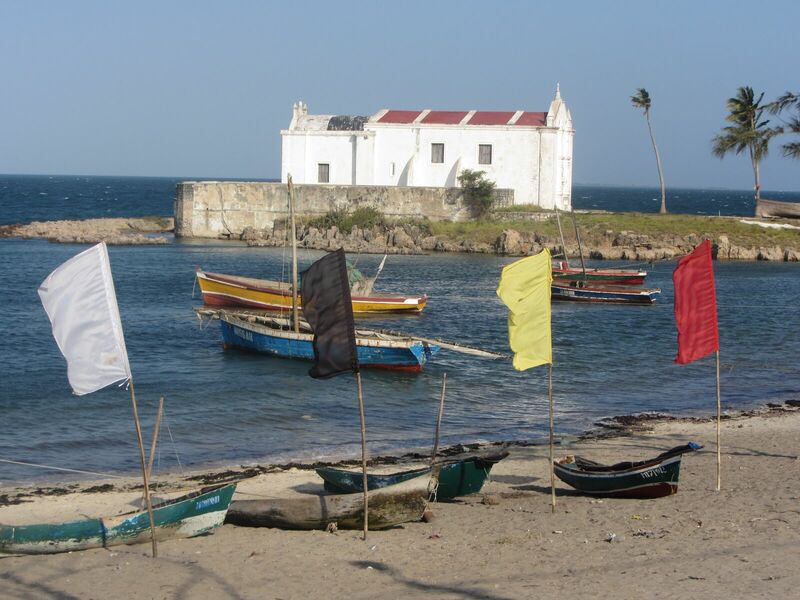 Day 12 From Ilha de Mocambique you will have an easy drive to Nampula. Night stopover at Nampula, Hotel Girassol, BB. Nampula province presents contrasting scenery. The miombo forest alternates with the magnificent towering granite domes and peaks, a paradise for rock climbers. Traditional villages and beautiful sceneries make this journey very pleasant. Mozambican people are very friendly and always welcoming. Nampula is an inland town surrounded by flat plains dotted by rocky granite outcrops. Places of interest in Nampula are Nampula cathedral and Nampula museum.